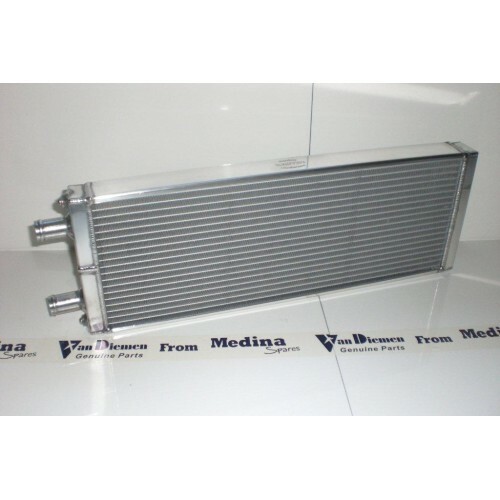 Home » Formula Ford Aluminium Radiator. These Radiators are Superb Quality - With Dual Bleed and Twin Outlets at one end . Approx size:- 570 x 200 x 45mm with 2 x 25mm O/D outlets (length 50mm) at the same end .